Ingrown nails don't have to be painful, call today for an appointment! The kind of care you would expect for your family care. Come in today for a foot exam and consultation. We suggest a foot examination atleast twice per year. If you have had a history of foot problems more frequent visits are advised. Consult with the doctor for more details. 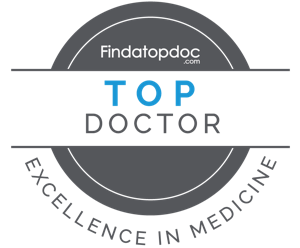 Dr. Walters is certified by the American Board of Lower Extremity Surgery and the American Podiatric Medical Specialties Board. He is a member of the Academy of Ambulatory Foot and Ankle Surgery, Dr. Walters was included in the Guide to America’s Top Podiatrists. Our practice is to find solutions that do not involve surgery. We try to take the most conservative forms of treatment possible. When we have no other choice, Dr. Walters is a Board Certified Pediatric Surgeon. Dr. Walters weighs in on important news in the field of Podiatry. Our offices has complete treatment methods available for your foot and ankle problems. He was great. Answered all my questions. I did not feel rushed. The staff was friendly and courteous. Wait time was minimal. Dr. Walters is kind and warm. Great experience. Dr. Walters was super nice and knowable, pin point my problem within minutes and gave me a number of treatments options for it. His office is always accommodating and helpful. Very professional doctor. Easy to talk to and Dr.Walters listens to my concerns and explains in layman's terms. When I leave the office I don't have any unanswered questions. Very pleasant visit.